The VBF iTEAM brings humanitarian medical mission trips to the international community. 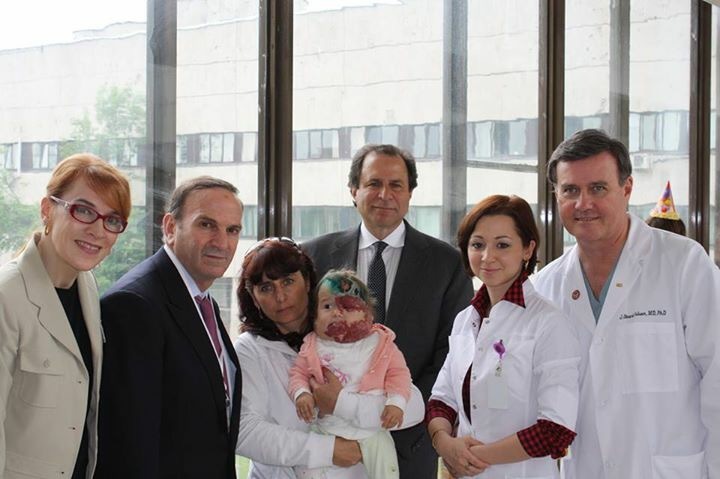 Through the iTEAM, vascular anomaly expert physicians from the USA are brought to other countries to educate groups of international physicians on the accurate diagnosis and appropriate treatment of vascular birthmarks. During these invaluable medical mission trips, physicians can earn continuing medical education credit (CME) and learn about the latest in research and treatment methods. Patients may also attend to patriciate in conference lectures, seek laser treatment, and attend clinical appointments with teams of expert physicians. VBF iTEAM medical mission trips have been held in countries across the world including India, Italy, Russia, and Israel. The VBF iTEAM will be in Rome, Italy on June 28-29, 2018, and VBF plans to bring the iTEAM to Greece in 2019.